All submissions will be considered confidential. We thank all applicants for their interest. Only those selected for an interview will be contacted. LM is dedicated to Architecture and Interior Design that respects the needs and aspirations of people, creates value and builds community. In pursuing our mission, we believe in: service to others; excellence and innovation; growth and development and care for the environment. 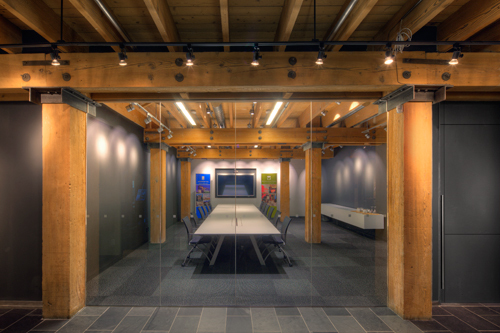 LM Architectural Group and Environmental Space Planning consider our most valuable asset to be our Staff. We have a richly diverse group of men and women that spans four generations, from Mel Michener, FRAIC, LM’s founding principal to our energetic and resourceful architecture/interior design interns and students. The quality of our staff, our services and our client projects has been recognized, over the years, with many major Canadian design awards from the Prairie Design Awards through to the Governor General of Canada’s Medal in Architecture. Our offices are centrally located in a restored former warehouse in the heart of the historic Exchange District in downtown Winnipeg. Our staff can easily walk, bus, cycle, run and, even on occasion, canoe to work! Our strategic expansion requires the addition of career oriented, highly motivated individuals seeking an opportunity for career advancement within our organization. We thank all applicants for their interest, but only those selected for an interview will be contacted. Senior Interior Designer: The ideal candidates have a minimum of 6-8 years post graduate, professional experience in the planning and design of significant interior projects. Planning and design experience in health care, hospitality, commercial and/or corporate interiors is a requirement. Strong interpersonal communication and project management skills combined with Revit/AutoCAD and graphic presentation skills will be an asset for these positions. Intermediate Interior Designer: The ideal candidate has a minimum of 5 years post graduate, professional experience in the planning and design of interior projects. Experience in retail, hospitality and multifamily residential interiors is an asset. Strong planning, design, Revit/AutoCAD and graphic presentation skills will be prerequisites for this position. Graduate Interior Designer: The ideal candidate is highly motivated and will be able to demonstrate strong planning, design, Revit/AutoCAD and graphic presentation skills for this position. We offer a highly competitive salary, bonus program, and significant compensation benefits package, as well as a collegial working environment, with staff that strive for quality design and superior client service.